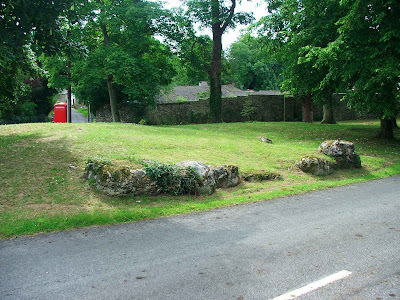 Borwick Hall lays in the small Lancashire village of Borwick just off the A6070, about two and a half miles South of Burton in Kendal. The hall consists of a house dating mainly from the 16th century, with a 14th century pele tower at the core of the collection of buildings. The pele tower is very similar in size and form to that at the core of Sizergh Castle a few miles down the road. The tower measures in the region of 11 metres by 8 and a half, and has walls some 1.8 metres thick. 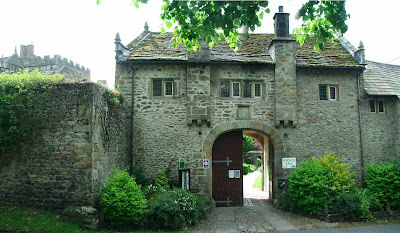 There is also a beautiful gatehouse to the South of the hall, which dates from 1650. Certain additions to the hall in 1595, were undertaken by Christopher Bindloss, a Kendal cloth merchant. writing in his book “The Works of the Right Reverend Father in God, Thomas Wilson, D.D.” the hall is described thus “it appears at present (1823) as a large decayed hall-house of the time of Charles I, but with a strong border tower at the South end.” It is reputed, as with many towers and old hall houses in this area, that Borwick Hall has a secret Priest Hole….hidden behind the wall in one of the first floor bedrooms. The book quoted above, goes on to say that Charles II spent some time at the hall in August 1651, before the battle of Worcester, although I can find no further verification of this. It was after his defeat at this final battle against Cromwell’s army that he fled to France. Today the hall is owned by Lancashire County Council, and offers conferencing facilities, outward bound courses and management training courses. 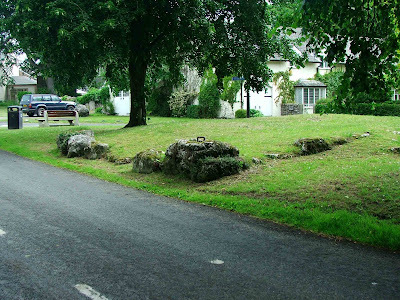 The hall can be viewed from the road, especially from the village square….which incidentally, still shows the footings of a building, reputedly that of a chapel now long since demolished or collapsed. 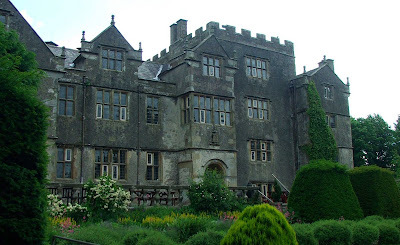 Robert Bindloss was the first inhabitant of Borwick Hall. 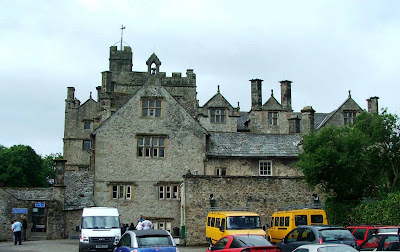 He married Alice Dockwray of Dockwray Hall in Kendal (a now demolished pele tower built in the region of Kendal Green) Robert died in November 1698, and the estates at Borwick were inherited by his daughter, Mrs Standish. I'm looking for information on Borwick HALL around 1912 my mother in law's mother worked there as a parlour maid she is trying to recall stories her mother told her of the people who visited the hall while she was in service she talks of someone who wrote music.